I was so excited when I saw this was available on the Free Library of Philadelphia website. It's an intensely in-depth expose of Scientology, it's use of celebrity funding and promotion, and the abuses it has been charged with. 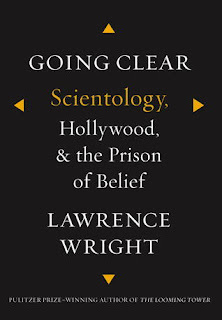 The research is incredibly deep - Wright conducted interviews with over 200 members, both celebrities and church officials. The first section is a detailed look at L. Ron Hubbard's life and the foundations of the church. The next two sections contain more information about the alleged church abuses and the cult of celebrity that surrounds the church. There's a reason Wright has a Pulitzer to his name. I was highly impressed with the quality of the writing and the depth of research that went into this book. Wright has obviously put a huge amount of time into making sure his research is flawless - all of his sources are cited and detailed for further reading. In addition, he writes in a style that is easy to read and flows well. As in-depth as the research is, Wright's book is still accessible for the general reader. If you can read an article in Time Magazine, you'll be fine reading this book. 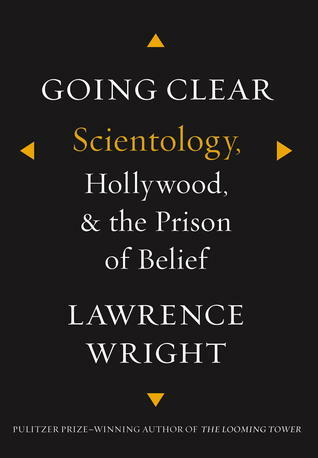 I was completely captivated with the history of the church, and the implications Wright draws regarding the celebrity involvement. And I have to say, if I didn't trust Wright's research and skills as a journalist, I would be hard pressed to believe the events described in the book. I think a basic interest in cults/religions, this history of Scientology, or current events is a prerequisite for reading this one. It will also appeal to fans of investigative journalism in the style of Krakauer's Under the Banner of Heaven. I highly recommend it. I use to work for a company owned by scientologists. Crazy isn't the word. I feel so strongly an about this fake religion. Another one I want to read! I've heard this book is fascinating. I keep waiting for my library to get it.